Health Insurance Exchanges Explained : Shots - Health News The exchanges — one for every state — are not only where people will go to choose plans, they're also where people will go to see if they qualify for help in affording that care. States have until Friday to tell federal officials if they plan to launch their own exchanges. Tennessee Gov. 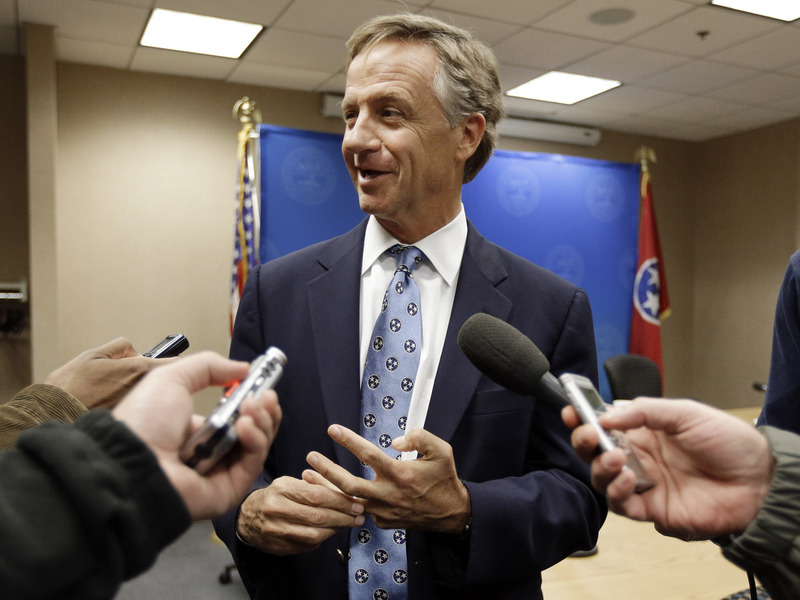 Bill Haslam said last week the state could design its own health insurance exchange required under President Obama's health care law. But resistance in the Republican-controlled General Assembly may cause the state to hand that power off to the federal government. Last week's election may have settled the fate of the federal Affordable Care Act, but its implementation after months of uncertainty has caught many of the players unprepared. Late last week, the federal government extended the deadline for states to decide what they want to do about health exchanges. Those are the new marketplaces where individuals and small businesses will be able to shop for health insurance. But with one of the deadlines still approaching at the end of the week, this seemed as good a time as any to revisit what an exchange is. Karen Pollitz, a senior fellow at the Kaiser Family Foundation and former Obama administration health official, says it's not all that hard a concept. "An exchange is a place where you buy health insurance," she says. "But it's a lot more understandable and consumer friendly than where you buy it today." "They're supposed to have more information available for people that you can understand, not fine print and gobbledygook," Pollitz continues. "They're supposed to have a lot of assistance; people who can help you walk through things; answer your questions; be there in real time." The exchanges — one for every state — are not only where people will go to choose plans; they're also where people will go to see if they qualify for help in affording that care. And lots of people will. "The Affordable Care Act makes subsidies available based on a sliding scale, depending on how much you earn," Pollitz says. "And people earning up to four times the federal poverty level, which is about $40[000 to] 45,000 for a single person, would be able to get some help paying for their premiums." The state exchanges will also have to determine who has incomes low enough to qualify for Medicaid, and help them enroll in that program. It sounds like a lot, but there's already a real-world example. Massachusetts passed a law in 2006 that was in many ways the template for the federal Affordable Care Act. It launched something called the Massachusetts Health Connector within a year. "Literally, on the Web, which is where about 85 percent of our applications come in for the unsubsidized insurance, individuals make a purchase decision in about 20 to 30 minutes and push a button and they're enrolled," Jon Kingsdale, the Connector's then director, said in a 2010 interview. According to Kingsdale, what's really made the Massachusetts exchange a success is the high quality and reliability of the plans it offers and the high level of its customer service. "That's really the value that we bring," he says. "So I think people in Massachusetts trust that when we give our seal of approval, that those are good values, and we certainly work very hard to make sure that we offer the best plans." But now states that have been on the fence don't have a lot of time left to replicate what Massachusetts has done. Exchanges need to be ready to start signing people and businesses up by next October, for a plan year that begins Jan. 1, 2014. Pollitz says there are a lot of moving parts that must be in place. Exchanges have to certify that health plans offer required benefits, and be able to determine who is and isn't eligible for financial help. And most of all, they have to be able to help consumers. "They need to have toll-free 800 numbers you can call,on-the-ground navigator and other assistance programs to help people," she says. "[They need] hold-their-hand help people in languages they can understand." So far, nearly 30 states haven't formally said what they'll do. Just over a dozen states have passed legislation to take on this task themselves. Governors in another handful have said they want no part of it. That means federal officials will step in and run the state exchanges for them. There is a third option: States can partner with the federal government to run the exchange. And now states can wait until as late as February to decide if they want to do that. But there's pressure, particularly on Republican governors, to reject any participation in the exchanges. "If you agree with us that this law is not going to work, why would you want to help them in creating it?" said Nicole Kaeding, state policy manager for the conservative group Americans for Prosperity. Opponents of the law also say states could face significant costs if they do their own exchanges. "These exchanges are expensive bureaucracies," Kaeding said. "They're going to cost states an estimated $10 million to $100 million per year, and they will be financed through a tax increase on health insurance premiums — a tax increase that will almost surely be passed along to taxpayers." Friday is still the deadline for states to tell federal officials if they plan to launch their own exchanges. That will send an important signal about the status of the health law.